The VSX-LX101 is compatible with 5.1.2ch and 5.2.2ch configuration of the latest theater sound platform, Dolby Atmos. You can reproduce object-oriented sound in smooth, curving movements, or the realistic three-dimensional movement overhead by the top speakers. 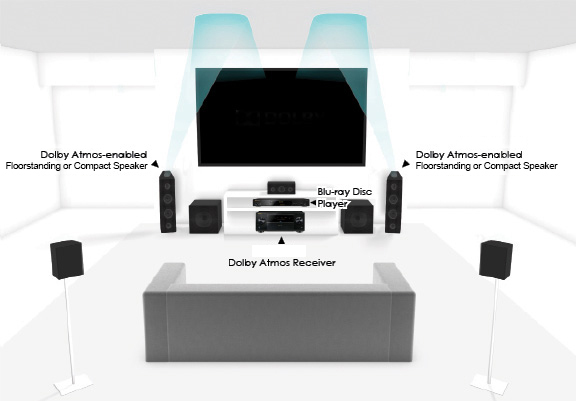 Using the Dolby Atmos Enabled Speakers you will need the following in order to use the Dolby Atmos-enabled capability of these speakers, the listening room ceiling should have horizontal flat hard surface (for audio reflection) and a height of 8’ to 14’. * DTS:X will be available with future firmware update. The VSX-LX101 has Google Cast, the same technology behind Chromecast built-in, so you can use your mobile device to cast your favorite music, radio, or podcasts to your speaker. You can control the audio from anywhere in the house using Cast-enabled apps running on your personal device—iPhone®, iPad®, Android™ phone and tablet, Mac® and Windows® laptop, and Chromebook. Discover Cast-enabled apps at g.co/cast/audioapps. The feature lets you take advantage of the highest-quality video source for viewing on a 4K TV. With support for HDCP 2.2, you can enjoy premium content such as 4K videos with digital copy protection on a compatible display. What’s more, the VSX-LX101 is ready for the HDR (High Dynamic Range) and BT.2020 next generation video standards. The VSX-LX101 will support FireConnect™ Powered by Blackfire* with a future firmware update. FireConnect is a stable wireless protocol that streams audio from a compatible Pioneer AV Receiver to a compatible Pioneer wireless speaker**. 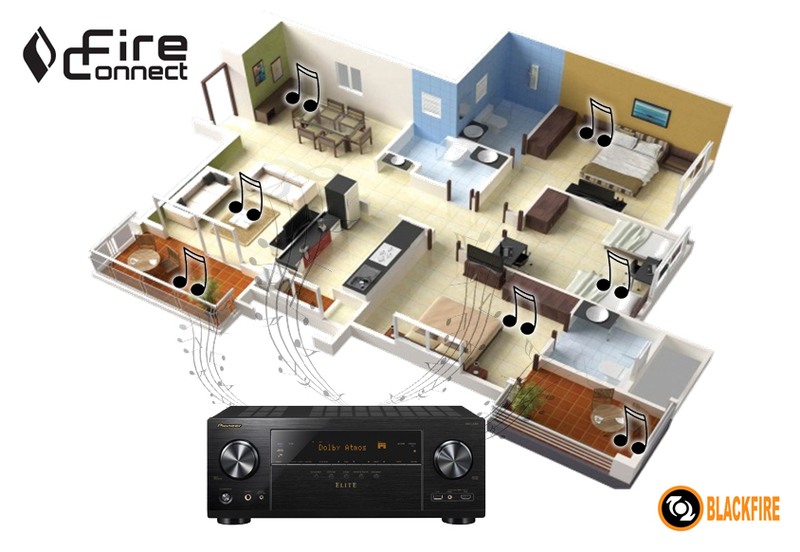 Enjoy Bluetooth audio, front USB audio files and internet radio from the FireConnect compatible Pioneer AV receiver to an optional FireConnect compatible Pioneer wireless speaker(s)** located in another room(s).